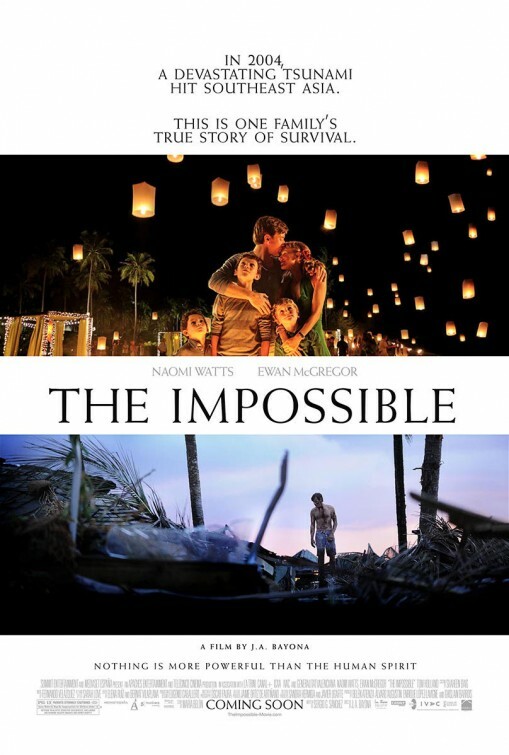 Based on an incredible true story of survival, The Impossible shows how a devastating natural disaster can test the will of a family on the most basic level of survival. 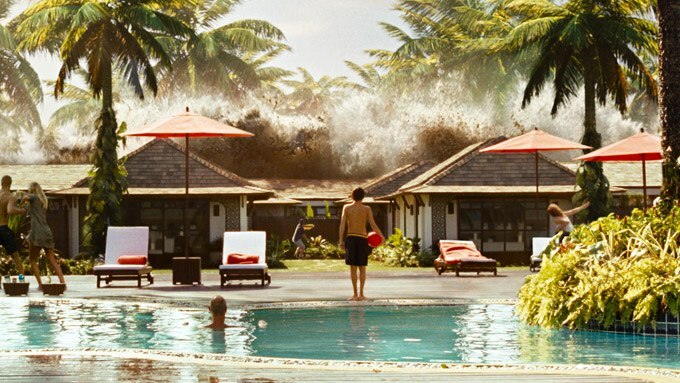 Director Juan Antonio Bayona (The Orphanage) does his best to recreate the devastation of the 2004 Thailand tsunami while Naomi Watts and Ewan McGregor turn in powerful performances as vacationing couple Maria and Henry. While spending some much needed down time at a beach front resort, Henry, Maria, and their three boys are looking to do nothing but have a relaxing time away from their busy lives back home. Surrounded by amazing scenery, beautiful weather, and every amenity they could ever ask for, the vacationing family begins to settle in for what looks to be a visit to their own little slice of paradise. Unfortunately, mother nature has other plans as an earthquake in the Indian Ocean kicks up a tsunami that is headed straight towards the Thai coastline where the family is enjoying their vacation. As the resort is teeming with families and couples all enjoying the beaches, pools, and other resort features, the first of three giant waves comes crashing in and wipes out everything in their path. Maria and her eldest son Lucas are separated from Henry and the other two boys and what was previously a peaceful paradise, has quickly turned into widespread devastation. As the pair seek out anyone that can help, they being to realize just how much of an impact nature has had on the lives of an entire country. The Impossible is one of those movies that you walk away from extremely impressed after watching a movie that has been expertly crafted all the way around, but you do not feel comfortable talking about how great it is or how amazing some of the effects scenes are. After all, this is a very somber look at a tragic event that affected countless lives while showcasing the heartbreak of losing loved ones. Of course, there are also several uplifting moments and scenes featuring uncommon bravery and fortitude in the face of impossible odds and all of these ingredients make for a very fine movie experience. Naomi Watts has received a lot of acclaim for the effort she put in to bringing her character to the screen and I would say she deserves every bit of that praise. There are many times throughout the picture where you absolutely believe in the pain and suffering she is experiencing both on an emotional and a physical level. 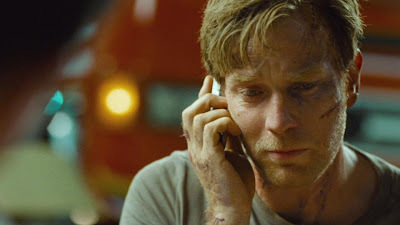 Ewan McGregor also brings his A game with a heartbreaking performance that is defined by one heart wrenching scene in particular. All that being said, I was actually most impressed with the young Tom Holland who plays the eldest of the three boys. What his character goes through over the course of the movie is truly amazing and he conveys every emotion brilliantly. When you watch The Impossible, you will be glad you had the chance to witness such an emotionally impactful story and, after wiping away a few tears, you will feel better knowing that there are always extraordinary tales of hope and courage during humanities most tragic moments. There are things you could look to pick at with this movie, but like the story itself, the real strength is in the powerful individual performances and any other deficiencies are easily forgiven.